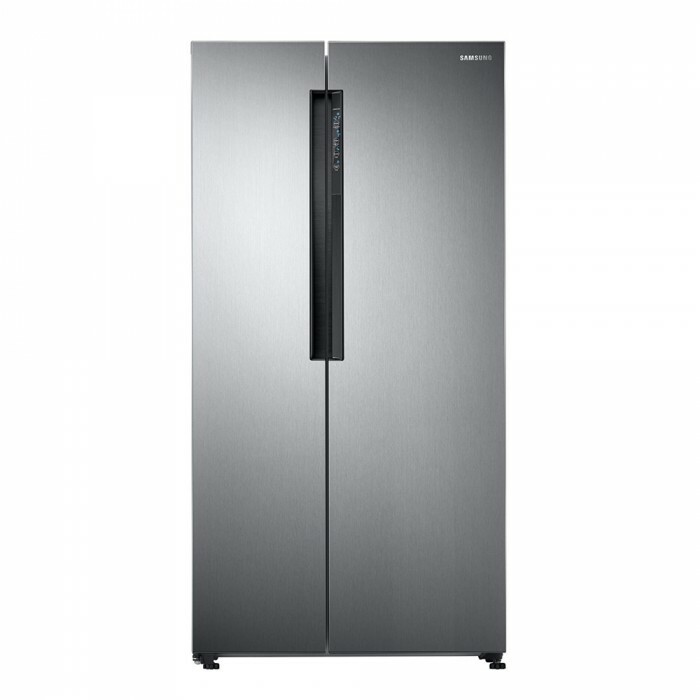 The Samsung RS62K60A7SL Side by Side Refrigerator 674 Litres, Ez Clean Steel lets you store food and drinks under optimal temperature conditions. With.. The Samsung RS62K60A7SL Side by Side Refrigerator 674 Litres, Ez Clean Steel lets you store food and drinks under optimal temperature conditions. 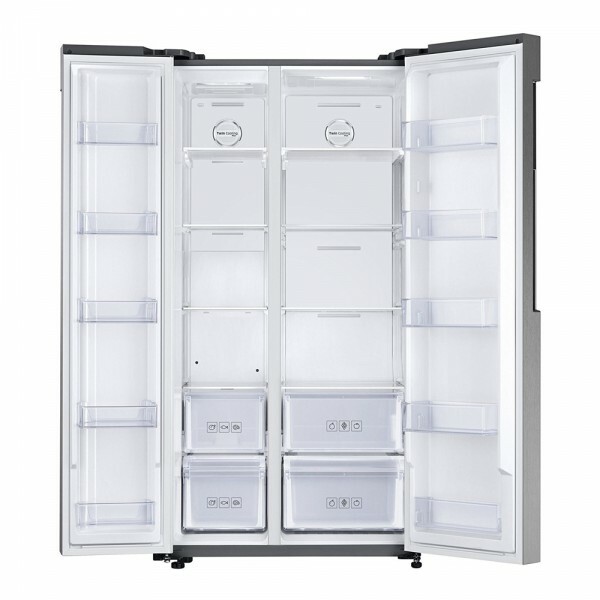 With this fridge ensures an energy efficient operation. In addition, it has a storage capacity of 674 litres that enables you to store your pots, beverage cans, and food platters with ease. Reaching into a refrigerator often means navigating an obstacle course of food items. But the easy slide shelf is built on rolling hinges and pulls out, so you can efficiently organise and easily access your food items and easily see exactly what you have stored in the back. Twin Cooling System gives you the best of both worlds It uses two separate air flows and precise temperature control to maintain optimal humidity levels on both the refrigerator and freezer sides. This Twin Cooling System helps keep your apples fresh, prevents your ice cream from getting freezer burn, and stops ice cubes from smelling like the garlic bread you’ve stored in the refrigerator. Multi Flow works on every level-with small vents over each shelf-to maintain an even temperature throughout the refrigerator, especially after you open the door. By cooling every section of every compartment at the same time, it helps your foods stay fresher longer. Information and control at your fingertips. Know what’s happening inside your refrigerator without ever opening the door. The external LED display, with its pleasing blue glow, shows the inside temperatures for both sides of the new H Series Refrigerator, and lets you know when it’s time to change the filter. Touch the display to dispense water and ice, or to set the refrigerator to Vacation Mode when you go on holiday. The CoolSelect Zone, our fridge-within-a-fridge feature, also offers intuitive controls that let you change settings at a touch. Chill food 31% faster with the Power Cool feature on this Samsung refrigerator. With faster chill, food will stay optimally fresh for longer and beverages will be quickly chilled. Now never run out of ice cubes. The Power Freeze feature on this Samsung refrigerator allows up to 31% faster ice making, thus conveniently reducing the waiting time. Have ice cubes anytime with the push of a button.